Distinguished for its White and Baroque architecture, it is known for being a symbol of the Baroque architecture and is nicknamed “The White City”. The White City suggests you so much more. 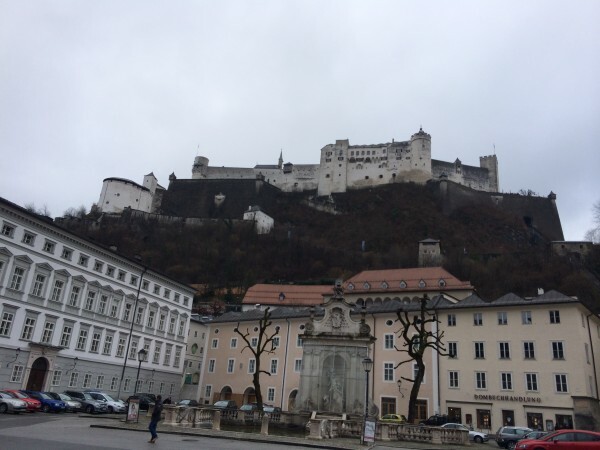 Salzburg has the richest heritage out of all Austrian cities. It was a point where both German and Italian cultures met which played an important role for exchanging their cultures with one another. It has many beautiful buildings, both secular and ecclesiastical of very high quality from periods ranging from the late Middle Ages to the 20th Century. 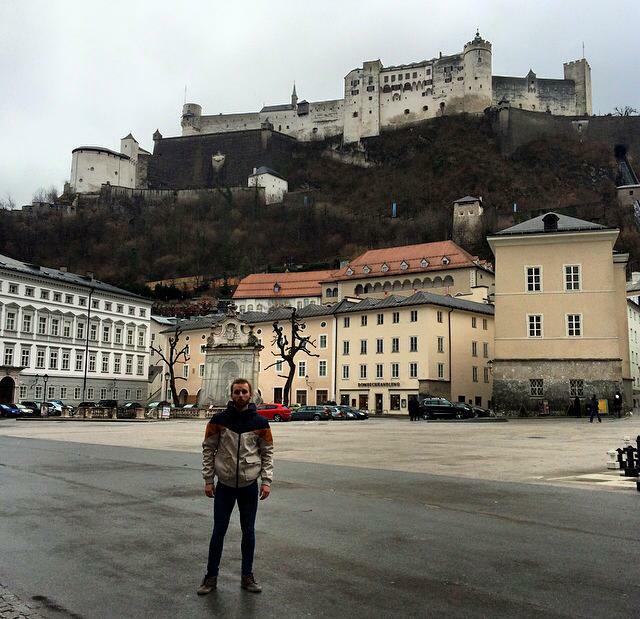 The construction of the Castle was started in 1077 by Archbishop Gebhard von Helfenstein. The fortress consists of various wings and courtyard. It is the symbol of the city. You can almost see it from every part of the city and also being the highest structure. During its long history the Hohensalzburg Fortress has always remained unconquered by enemy troops. Having served as a fortification and temporary residence of the prince archbishops for many years, the fortress also served as military barracks and a prison. Prince Archbishop Wolf Dietrich was held captive in the fortress for five years by his nephew and successor, Markus Sittikus, up to his death in 1617. Today the fortress is open to the public all year round and artists from around the world meet here for courses at the International Summer Academy. Besides the medieval rooms the romantic courtyard and the bastions regularly serve as scenery for events like the Fortress Concerts. 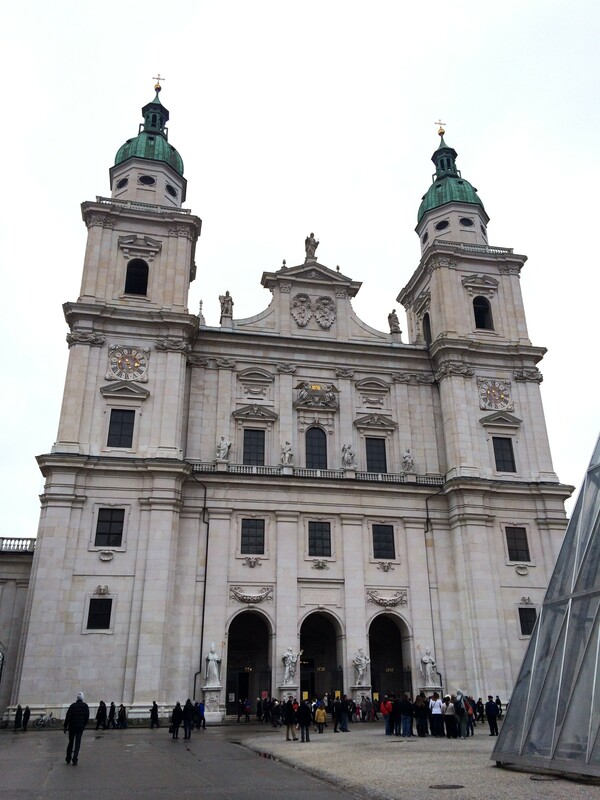 It’s a 17th century baroque cathedral. Although the background of the Cathedral dates back to the 8th century and was noted for having different styles of architecture for centuries, the first official document about the construction was in the 17th century, beginning in 1614 and was finished in 1628 in a complete baroque style by Mark Sittich von Hohenems. 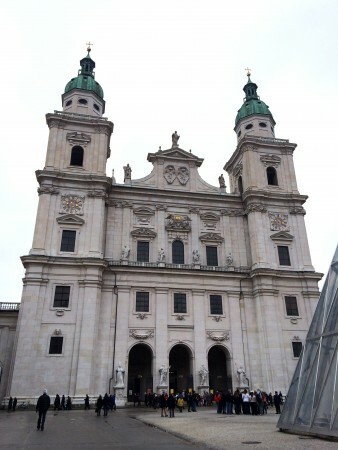 The Cathedral was also the first baroque monument north of the Alps. Its a busy shopping street in the city center. It’s well known for having fine shops, boutiques, restaurants, and chocolate stores. The houses are exceptionally well preserved and beautiful. It is also unique, each shop and house has its own Wrought Iron-Guild. For me it was surely an amazing experience seeing that street live. It was like a fairy tale. 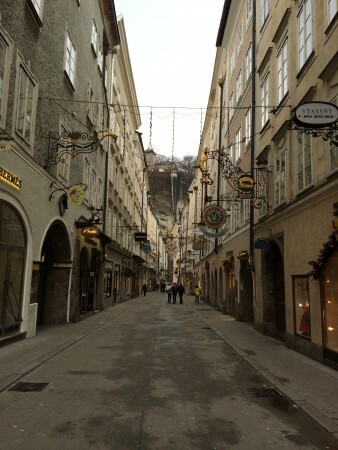 Although the houses in the Getreidegasse appear to be very narrow they are not small, extending far back in depth on both sides of the street. In former times the space behind the row of houses was mainly used as a garden. 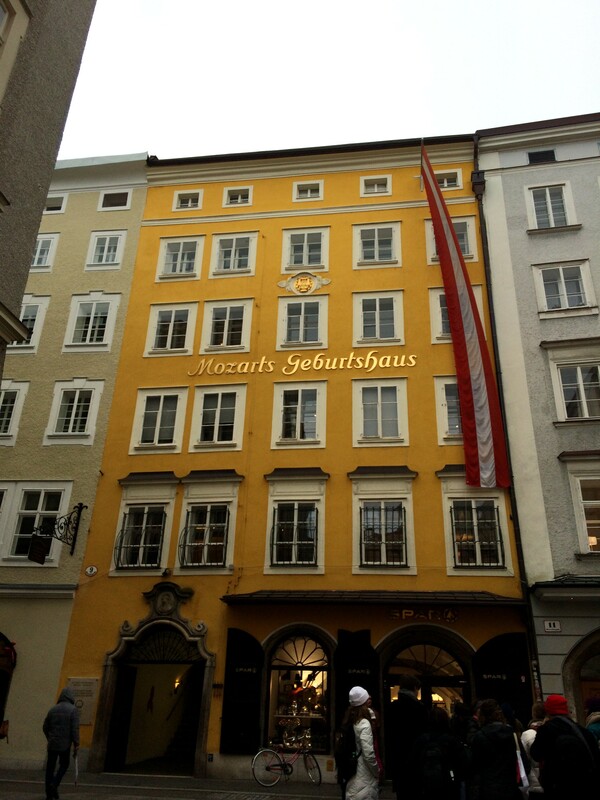 Salzburg is the birthplace of the very famous Wolfgang Amadeus Mozart, more precisely the Getreidegasse no 9. The Mozart family resided on the third floor from 1747 to 1773. He was the seventh child of Leopold Mozart who was a musician of the Salzburg Royal Chamber. It now serves as a museum, presenting the early life of the composer, his first musical instruments and his passionate interest in opera. The museum has many portraits and even his childhood violin. It shows his early editions of his music. 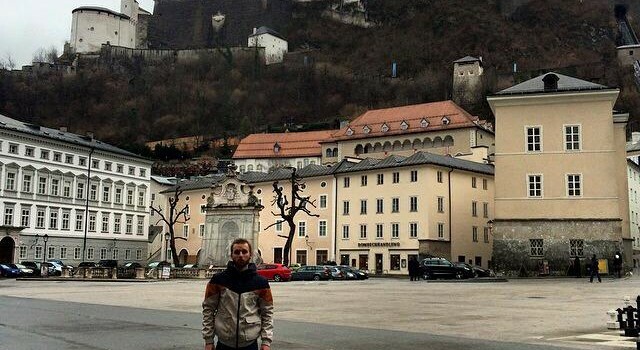 Salzburg is best known for having amusing and well known Festivals. The most famous festival is “Mozart’s week” which takes place in January (The month when Mozart was also born). It is regarded as being an artistic highlight in the European concert Calendar. It is visited by people from all around of the world because of its cultural background. The music of Mozart dominates all around the festival. In the days of the festival, about 200 shows are being held in 10 places, and because of these adequate activities it not only makes as one of the worlds most noted festivals, but important personalities also are present and are meeting here. The town offers you some notable trademark cuisine types like the Salzburger Nockerl. Like Apple Strudel and Kaiserschmarrn, The Salzburger Nockerls have become an Icon of Austrian Cuisine. The Sweet dumplings are made of egg yolk, flour, sugar, and vanilla, mixed into a thin dough. Although it is usually served as a dessert, the dish is so heavy that it is also suitable as a main course. The preparation requires a bit of practice. It is always served fresh and warm with powdered sugar, sometimes with raspberry sauce. Anyway, the city is the most prominent for having Chocolate which is known worldwide. The Mozart Chocolate is the most distinguished chocolate which is also known as “Mozartkugel”. The origins of the of the chocolate dates back to the 19th century when a confectioner called Paul Furst arrived to Salzburg and made the first Mozartbonbon in 1890, later changing its name into Mozartkugeln. The The chocolate is made of a ball of green pistachio marzipan covered in a layer nougat. The stick is then placed vertically, with the ball at the top, on a platform to allow the chocolate to cool off and harden. Finally, the stick is removed; the hole that it leaves behind is filled with chocolate coating, and the ball is wrapped in tin foil. The balls remain fresh for about eight weeks at room temperature.